Food Grade rubber hose with FDA is commonly used throughout many different industries. They are widely used to discharge and suction solid, liquid and other food products. Food grade rubber hoses are manufactured from various rubber compounds and are reinforced with high tensile synthetic, wires or a combination of both. Food grade rubber tubing is manufactured to cater to the demanding condition at food processing plant. They can withstand rough handling and high-temperature situations. Good quality food grade hoses can sustain high-pressure supply. Typically, they are used to transfer and suction water, milk, juice soft drinks, beer, wine, flour and so on. There are several kinds of rubber hoses. According to the materials and application, they have been divided into different types. 1. Smooth inner tube. White inner tube, smooth seamless that does notpropagate bacterial growth. 2. FDA approved. Food grade hose is extensively employed in food manufacturing units to carry out production in a safe and hygienic environment. 3. Good aging resistance. It fits for the applications outdoors and can be used for a long time. 4. Odorless. Food grade hoses are odorless and tasteless to preserve the actual taste of the food products. 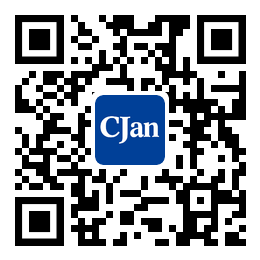 CJan company - rubber hose manufacturers provide high-quality rubber tubing for sale. The rubber hoses are available for a variety of applications, including hot water, citrus & juices, beer & wine, milk, flour, and so on.